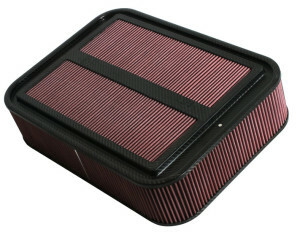 If you are not exactly a petrol head, it can be difficult to know when your air filter needs changed. However, there are some tell tale signs that you should watch out for that will hint that a new air filter is needed in your car. Below, we are taking you through these tell tale signs and that you need to be aware of. Are you finding that there is a noticeable difference in gas mileage? A decrease in your gas mileage is a big tell tale sign that your engine air filter needs to be changed. Your engine needs a good flow of air in order to work to its full potential and if your air filter is not working as it should then there will be limited supplies of fresh air getting to the engine and this will put an extra stress on your engine, causing it to work harder. So, if you are noticing that you are having to fill up your tank more often, then this could be the perfect time to get your air filter checked. Are you having problems trying to start your car ignition? This could be another sign that you need to change your air filter. If it is dirty, fresh air is restricted from getting to the engine and this will affect the while control system of a car. A dirty air filter can place a film over your spark plugs, which then stops them from sparking properly. If you recognise these signs and think that you may require a new air filter, you will want to do a visual check of your air filter as this can be the deciding factor in whether or not you need a new one. A new air filter car colour is usually white or off white and if it looks very dirty or is full of debris, then it would be recommended to have this replaced. If the filter is grey or filled with particles then it will need to be replaced, although some particles that clog air filters may be too small for the untrained eye. You can use the car manual to find out exactly where the filter in your car is located. All too often we sit around wondering what could be wrong with our cars, when the answer is right there in front of you in the car manual. A car manual will let you know a time scale for when your air filter should be replaced and this is usually between 12000 and 15000 miles depending on what vehicle you have. However, some car owners will have to change their air filter more often than others, including those who live in sandy areas. Follow the advice of your car instruction manual and replace it with their guidance., rather than waiting for even more problems to arise.